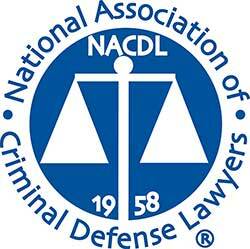 Accidents involving large commercial trucks are some of the most serious there are. 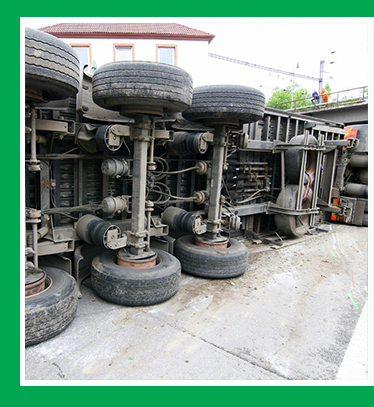 Whether due to their sheer size and volume or some other factor, truck accidents often result in fatalities. In fact, one out of every eight auto accident fatalities involve big rigs, tractor trailers, and other commercial vehicles. Truck accidents often differ from regular car accidents in that collecting damages from the at-fault party can get rather complicated. It is not the same as suing an individual and their insurance company for damages – in many cases you must take on the trucking company itself. As you can imagine, this is no easy feat. Unfortunately, many truck accidents are preventable and happen as a result of the truck drivers pushing their limits and driving on little to no sleep. Large commercials trucks are a natural and important part of our commerce system, as these vehicles haul cargo from coast to coast on a regular basis. Even though there are safety protocols and various regulations in place designed to keep truck drivers in check, they are not always followed. When truck drivers do not get enough sleep or fall victim to one of the many distractions on the roadways, they pose a serious danger to other drivers. According to the National Highway Traffic Safety Administration (NHTSA), every year there are approximately half a million truck accidents in the United States, about 5,000 of which result in death. The overwhelming majority of the victims in these types of accidents are people in other vehicles, not the driver of the large commercial truck. In the event a truck driver fails to adhere to these regulations, there is a much greater chance of an accident taking place. Being involved in an accident with a commercial truck is something no one wants to go through, but unfortunately it happens more often than many people realize. If you have been injured in an accident with a commercial truck, it is important you understand your rights and have a truck accident lawyer by your side. Since many of these cases require taking on a large commercial truck company who wants nothing more than to make the situation go away, it is imperative you have a lawyer who is prepared to stand up and fight for your rights. The Laredo truck accident attorneys at Green Law Firm are not afraid to take on the big guns and fight for the rights of commercial truck accident victims. Where other lawyers may back down and look for an easy way out, we will fight for you and take these powerful companies to court in order to ensure you receive the compensation you deserve for any damages you incurred. We understand how scary it can be to take on a commercial truck company, but we are far from intimidated. 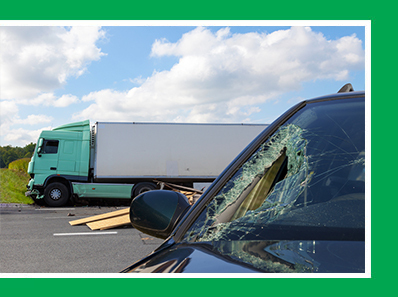 If you have been involved in an accident in Brownsville with a commercial truck, please contact Green Law Firm today so we can get started on your case.